There’s more to the Las Vegas of the East than the thrill of beating the dealer at blackjack, or the sound of the coins falling out as you hit the jackpot. This Southern Chinese city is home to a handful of world class restaurants ready to whet your appetite. 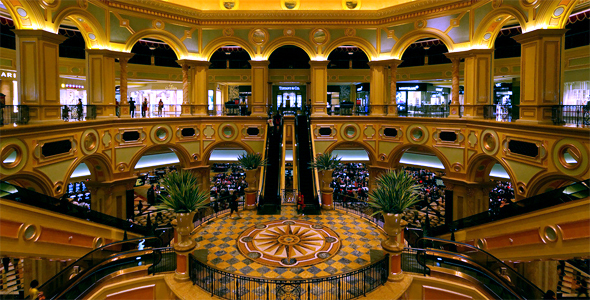 For a trip of gastronomic indulgence, be sure to check the following top tables in Macau. This informal bar and restaurant is run by a British expatriates couple who embraced the Macanese lifestyle. David and Jacky Higgins are wine-aficionados to very heart, and the varied selection of light bites to go with MacauSoul’s range of wine reflected that personality to the fullest. The menu reflects on Macau’s influences, with Mediterranean-tinged offerings like hummus and olives, as well as various fusion food such as the char siew salad. The restaurant is very popular with the young, local crowd, with an eclectic playlist of jazz, blues, folk and even classical adding to the ambience and lively atmosphere. 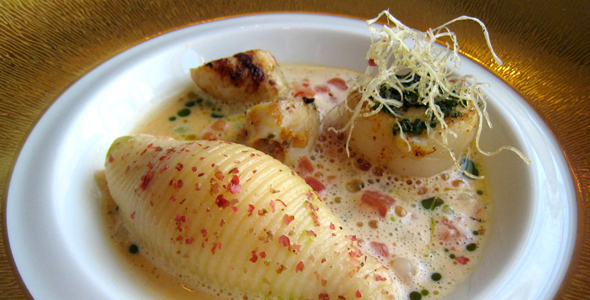 Since 2001, the Galera a Robuchon has set new standards for fine dining in the region. Executive chef Joel Robuchon has won many prestigious awards, and the restaurant has earned a magnificent three-star rating from the Michelin, the only restaurant to do so in Macau. Chef Robuchon travels frequently to Macau to maintain his impeccably high standards, with a team of chefs that has had rigorous training at other three-star Michelin restaurants in France. This delightful restaurant mixes modern dining with a touch of Old World traditional setting and decor. 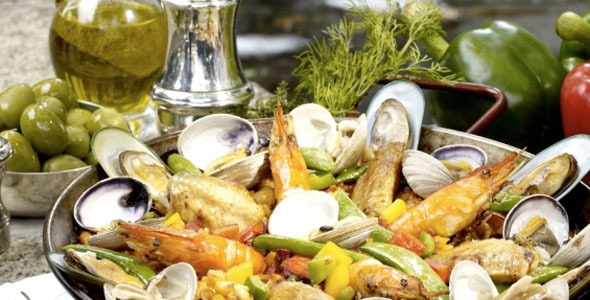 Set in the Pousada De Sao Tiago Hotel in Macau, the Spanish restaurant uses only the finest ingredients, impeccably balancing between textures, flavors and beautiful presentation. Be sure to try the Iberian Parma ham, the world’, seafood paella, pork sirloin, and garoupa. A beautiful view of the Macau Harbour adds to the rustic ambiance and classical charm of this renowned restaurant. At the opposite end of the spectrum, gourmet lovers would also enjoy the more budget-friendly cuisines of Macau, be sure to try out all of the items on this Foodie’s Guide to Macau! 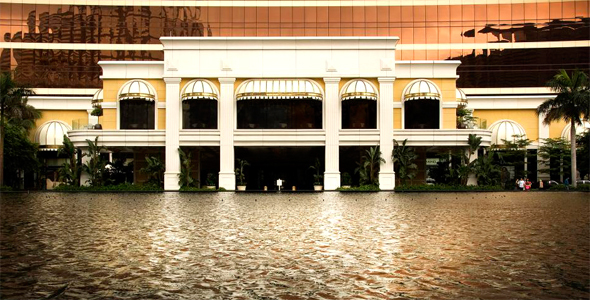 In the third-floor indoor canals of the vast Venetian Macao Resort Hotel is Lei Garden, one of the most respected Chinese restaurants in Macau. They are famed for their fusion of traditional Cantonese servings, with inventive twists from other regions of China. 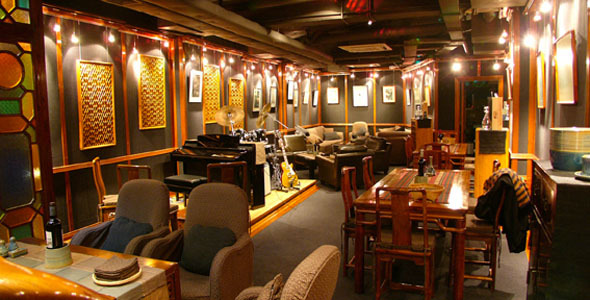 The restaurant is a new addition to Macau, having only been established in 2007. It’s rise to fame however, is second to none and the restaurant quickly became a hit with hotel and casino visitors from all over the world. With a name that means “The Theater” in Italian, one would expect the meal to be a grandiose showcase fit for the kings. Il Teatro at the Wynn Macao delivers exactly that, with the chefs putting a dazzling show for the diners with the stunning views of Performance Lake adding to the spectacle. At night, the lake hosts musically choreographed displays of dramatic water, light, color and fire effects, an attraction unto its own. But truly, the main star of the show is the genuine Italian cuisine made with the freshest ingredients flown in from around the world, making Il Teatro one of the world’s top restaurants.